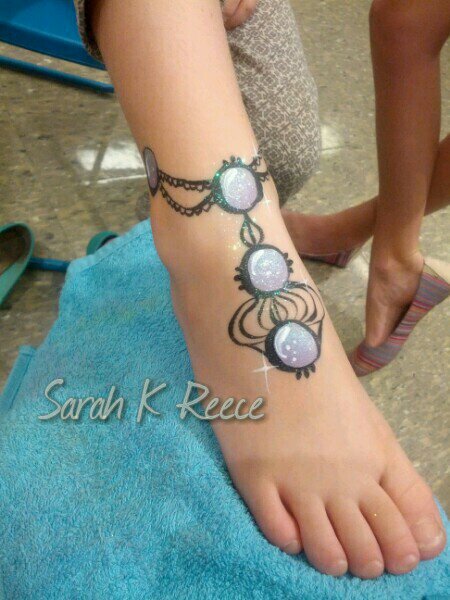 Summer is a very busy time for most face painters but I’ve been able to grab a few photos from recent events to share. 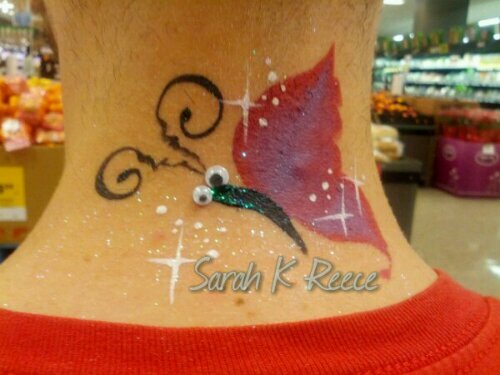 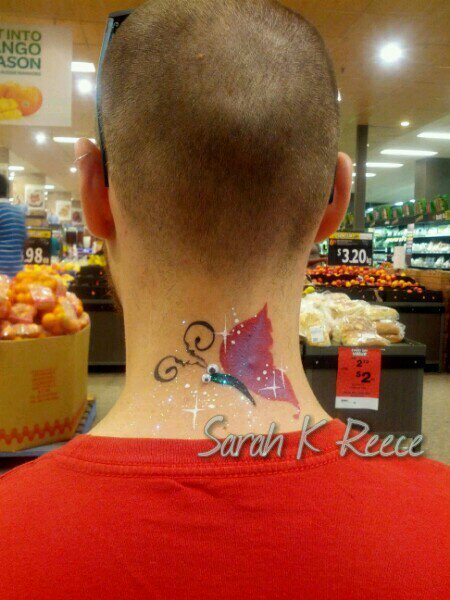 Starting with my favourite kind of fellow madman, this guy in Woolworths who wanted a butterfly on the back on his neck. 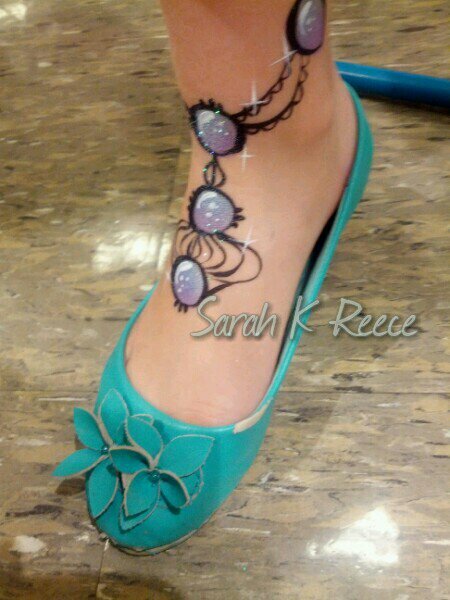 Painted jewellery is gorgeous, always comfortable and fits perfectly. 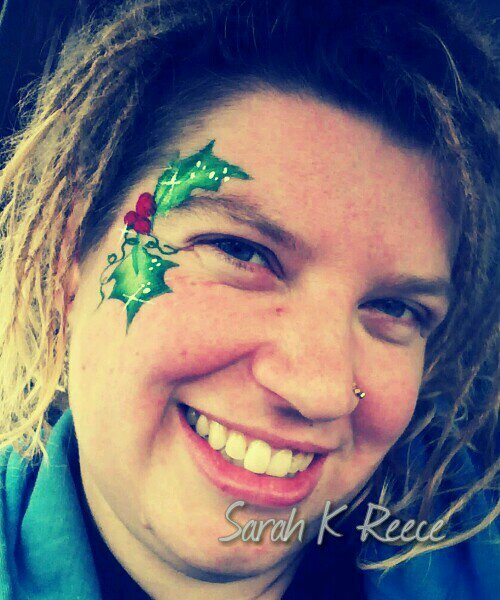 The slightly tired artist at A Christmas breakup party. 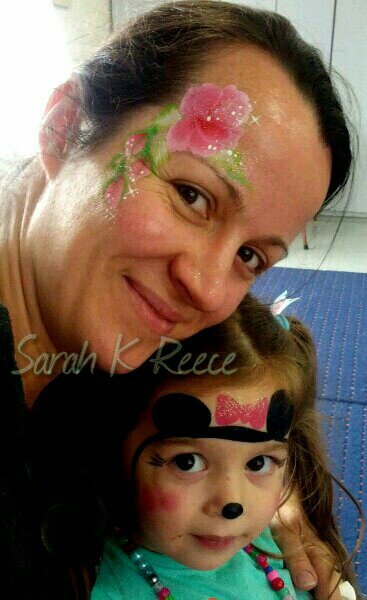 I love this one, what a gorgeous pair! 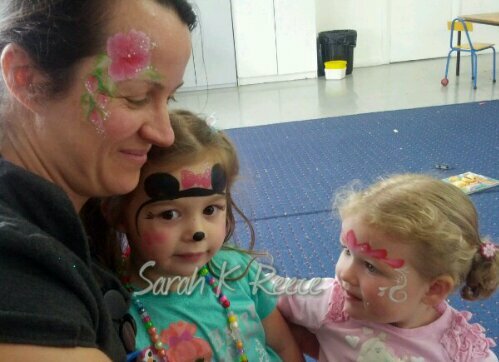 Roses, and Minnie Mouse, and a little princess in pink.